Every year here in the studio, we create new projects focusing on the three-leaf shamrock clover and the lucky four-leaf clover. 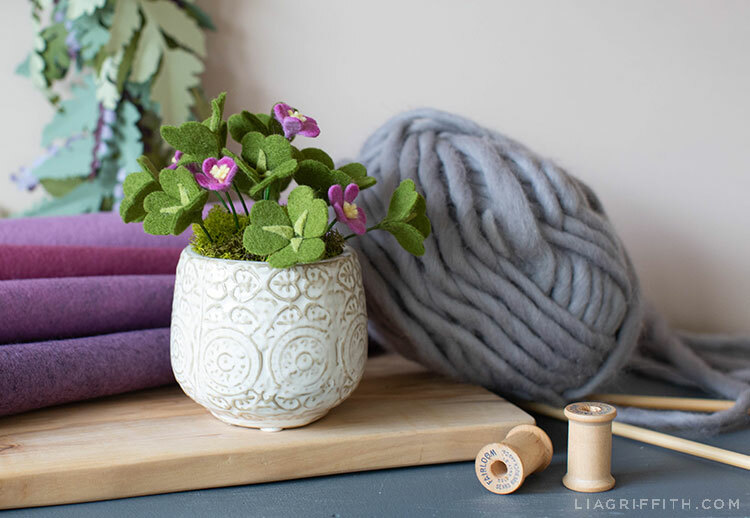 Here in our gallery of clover projects, you can find things to decorate your home with, to wear in your hair, or to use as fun little gifts for St. Patrick’s Day. 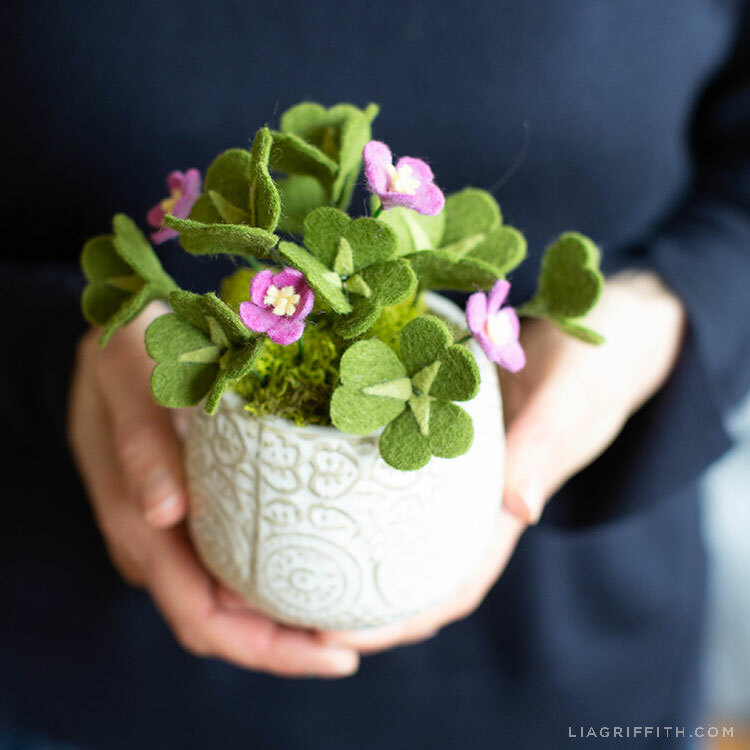 Today we’re showing you a new DIY project—our felt clover plant, forever in bloom. Also, a couple of fun clover vs. shamrock facts. While all shamrocks are clovers, not all clovers are shamrocks. Clover is the common name for a number of species in the Trifolium family. And as you may have guessed, trifolium means “to have three leaves.” The three leaves of a shamrock are said to stand for faith, hope, and love. 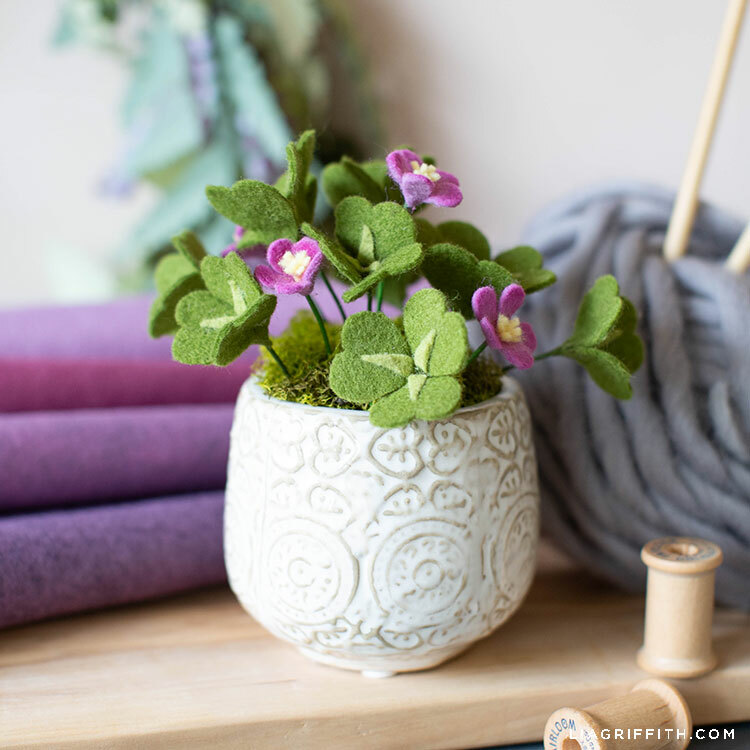 One of the best things about this felt clover plant is that it will keep its pretty purple flowers in bloom year-round. Now that is a clever craft! You can use it to add a bit of spring to your desk décor. Or you can gift it to someone who loves St. Patrick’s Day. 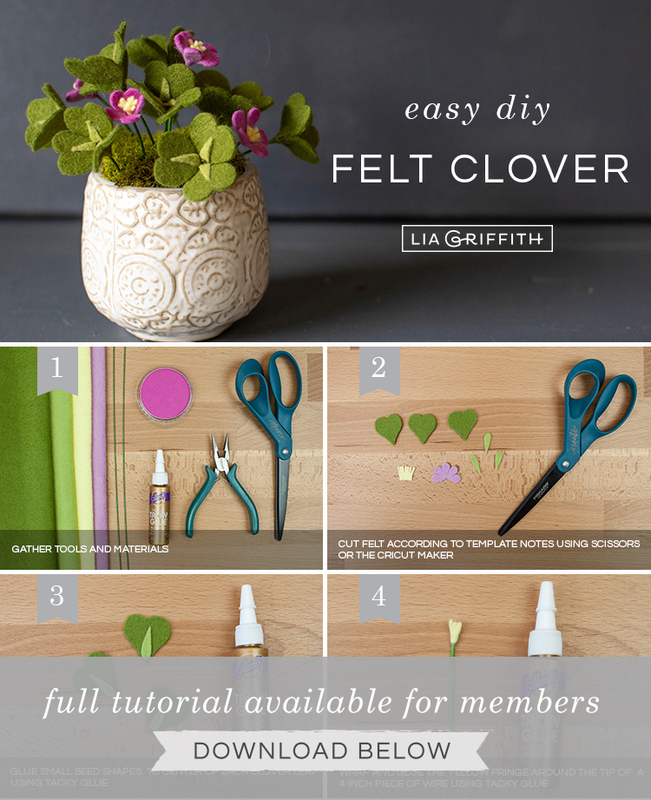 The tiny felt leaves and flowers can either be cut by hand or you can use your Cricut Maker with the SVG file below. 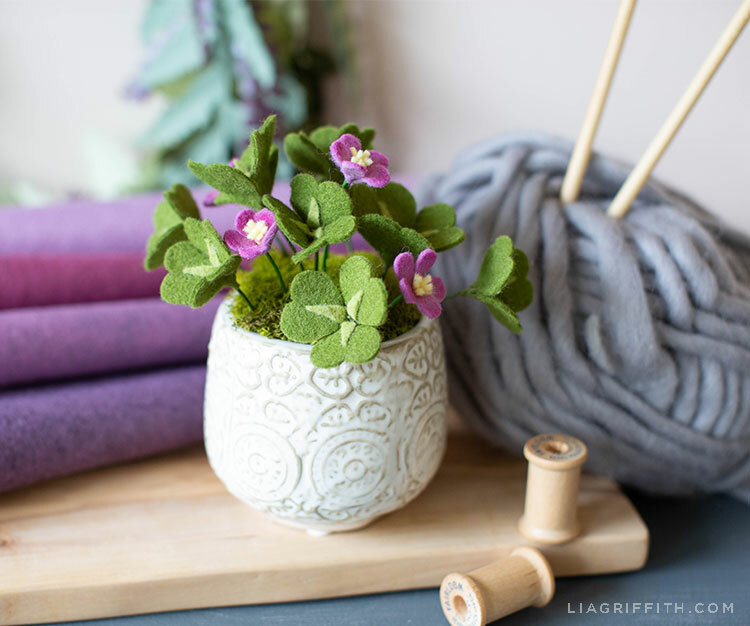 When you have everything ready to go, just follow the eight simple steps in the tutorial below to make your felt shamrock and blooms. And if you have any questions while crafting, just let us know! Gather your craft tools and materials. Then download the clover pattern at the end of the post. Cut your felt according to the template notes, using your scissors or Cricut Maker. Glue small seed shapes to the center of each clover leaf using tacky glue. Wrap and glue the yellow fringe around the tip of a 4-inch piece of wire using tacky glue.